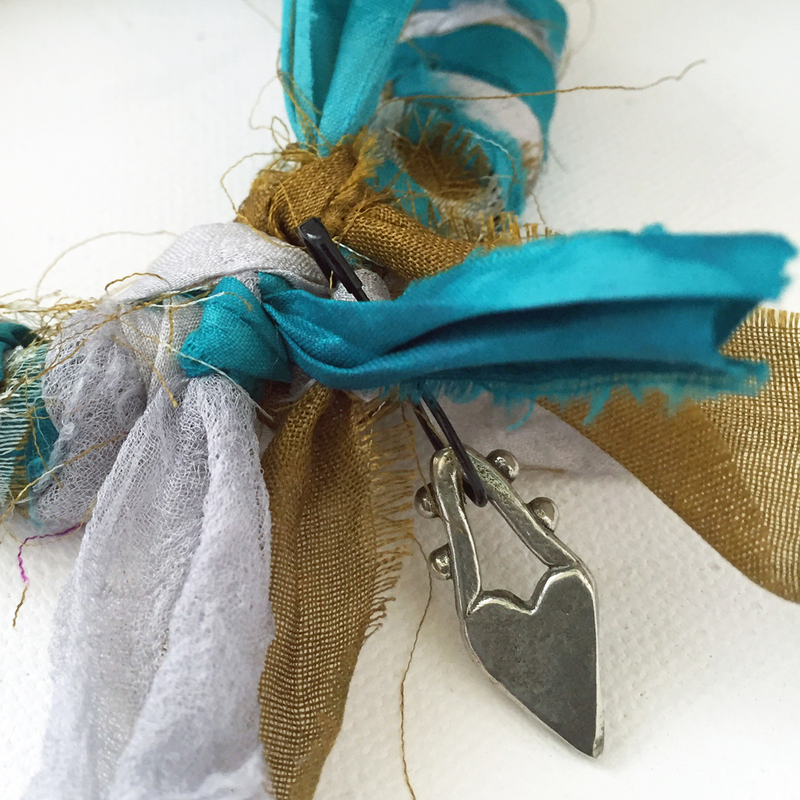 Make a statement with bold and bright sari ribbon bracelets! I adore bracelets and they are my jewelry of choice. For as long as I can remember I have favored adorning my wrists with everything from leather to beads. I remember my favorite was a sunflower seed bracelet I made at summer camp. I also picked up a Tagua Nut bracelet on my first mission trip to Panama and love that it holds a story of a memorable time in my life. You can read about it HERE if you like. I am happy to share with you my idea for colorful and easy to make sari ribbon bracelets that require few supplies. I was at the local home improvement store and spotted vinyl tubing and thought it could be used to make bracelets and the challenge began! I have a creative crush on anything sari and especially handmade Kantha quilts, but that is another article for another day. If I ever make it to India I will need extra suitcases to get all of my loot home! Grab Your Free Printable Tutorial Directions! Please note: the size of the tubing I used is 5/16 in OD x 3/16 in ID. So, where do you get Sari? Here are some of my favorite sources: Etsy, Amazon and Darn Good Yarn. Easy to make "color pops" for your wrists! I recently received an e-mail from Anthropologie and the model is wearing a scarf tied around her wrist, creating a clever alternative to a cuff. 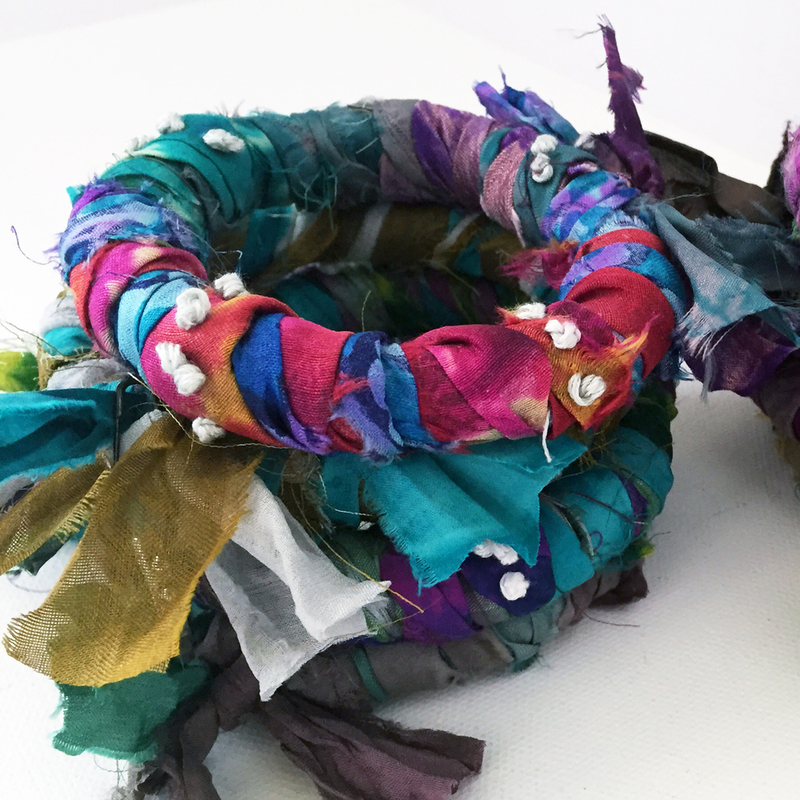 Make a couple sari bracelets and stack them to create a similar look of your own! Personalize your bracelets with small details. These sari bracelets look beautiful on their own in a variety of different colors, but by adding charms or hand embroidery such as French knots, they really do become little works of art. I look forward to seeing what you create and hope you will reach out and share! If you share on social media, tag with #springsaribracelets so I can find you!